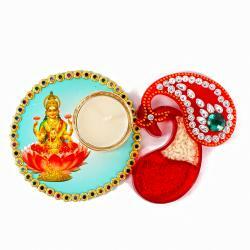 Gift this special combo which has a glance of divinity looks amazing. 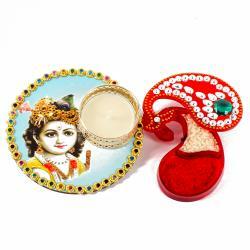 The thali has keri shape container for roli chawal. 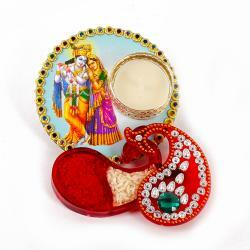 This beautiful thali with Shree kuber lakshmi gold plated note. This combo has a very classy glance which will be cherished for the rest of their life and will be treasured. 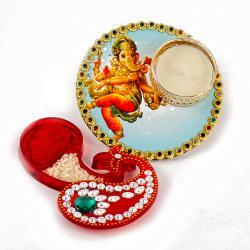 The look of the hamper is very soothing will give a relaxation to the eyes.Product Includes :Shree kuber lakshmi gold plated note in a box,Designer thali and Acrylic kankavati decorated with stones.